A funeral service will be held at the Sylvia Baptist Church on Monday, February 4, 2019 at 12:00 noon with Bro. Clark Brown officiating. Place of rest will be in the Pleasant Hill Cemetery. Visitation will be held at the Taylor Funeral Home on Sunday, February 3, 2019 from 3:00 PM until 5:00 PM and on Monday at the Sylvia Baptist Church from 11:00 AM until the time of service. 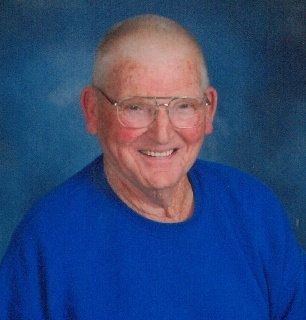 Wayne Gillette, age 85 of Dickson, TN, died on January 31, 2019. For those desiring, memorials may be made to the Sarah Cannon Cancer Center. Mr. Gillette was born August 23,1933 in Red Bay, Alabama. He was a son of the late H.D. and Beatrice Ozbirn Gillette. He was a retired supervisor for VR Wesson, a cutting tool manufacturer. He married Betty Whitaker in 1977. He was a member of the Sylvia Baptist Church. In addition to his parents, he was preceded in death by his wife, Betty Whitaker Gillette; 2 sons, Johnny Wayne Gillette, Roger Gillette. He is survived by his son Richard Gillette of Germany; daughters, Stephanie Alexander of Spring Hill, TN, Teresa Fetterman of Dickson, TN, Billie Brown of Dickson, TN, Lynn Garcia of Bristol, WI, and Pamela Kemp of Bristol, WI; his brother, Pete Gillette of Texas; 2 sisters, Alma Evans of Jacksonville, AR, and Penny Timbs of Golden MS; 13 grandchildren; 18 great grandchildren; several nieces and nephews.